Who needs a tropical vacation to relax? 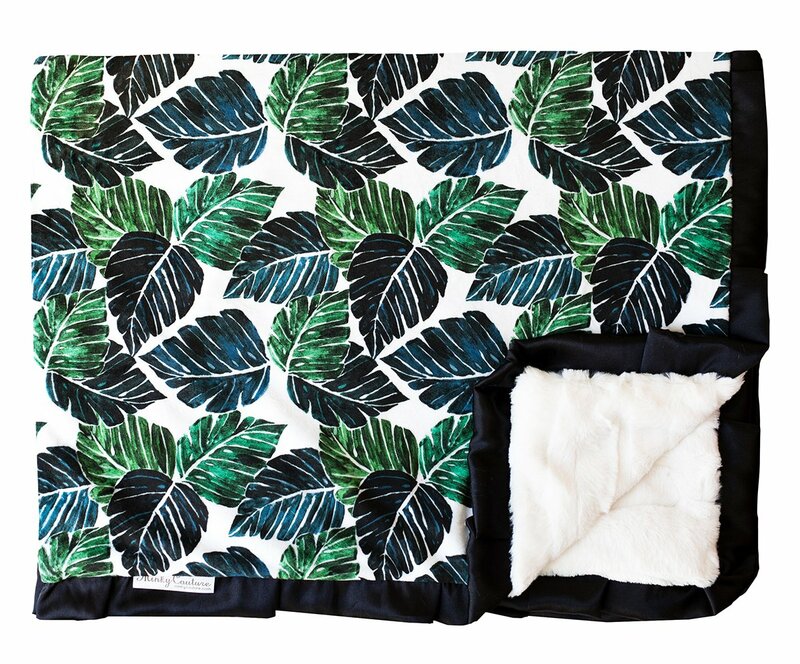 Wrap up in our gorgeous Palm Springs design instead! Layers of palm leaves in multiple tones of green, all on an off-white background. Cream minky back and a black satin ruffle. Palm Springs is an exclusive design and can only be found at Minky Couture.